Log Cabin Challenge 2 | What Goes With What? 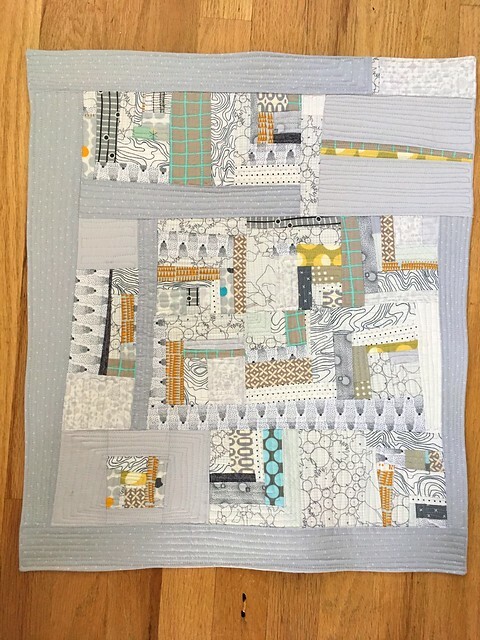 Here is my 3rd quilt for the annual BIMQG challenge. This year the challenge is a log cabin design. 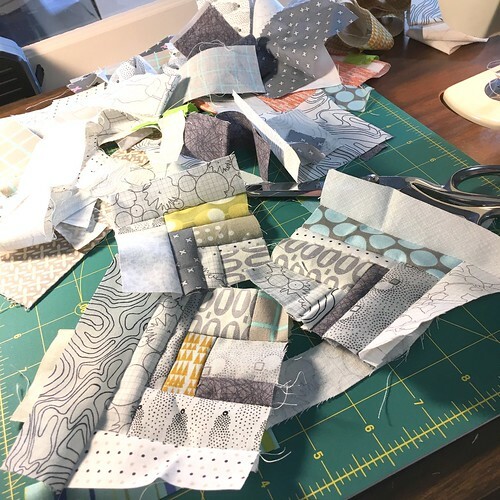 In my previous post I showed my Mod Minni quilts. Here I have done a more traditional but improv log cabin. 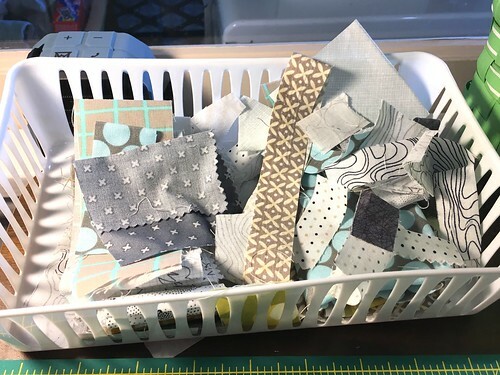 I started with a basket of scraps in a pleasing color pallet most of which were left over from previous quilt blocks or recent sewing projects. I really enjoy the freedom of improv piecing. My rules include… No measuring. No ironing. 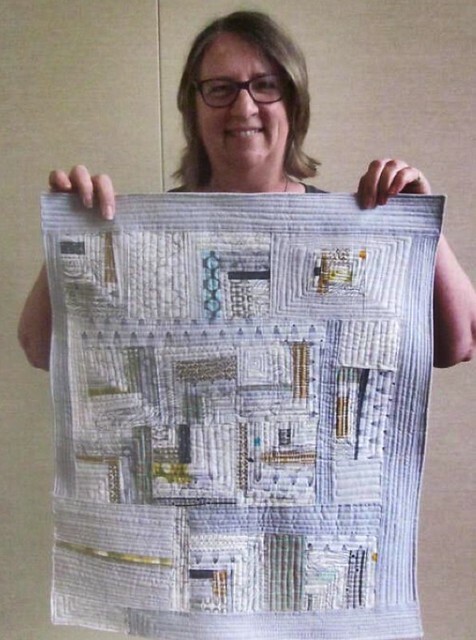 Just grab fabric and sew it into 1\4 log cabin blocks. Once the blocks were made I filled in with some Kona Cotton Ash. My go to gray fabric. Again the fill in pieces were kept wonky. 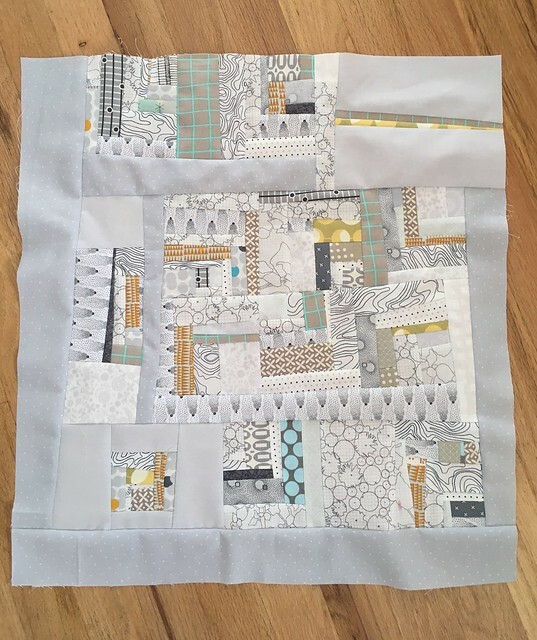 I kept the quilting simple by mirroring the log cabin blocks. The free motion quilting was done on my 1978 Bernina 830 Record which I found at a garage sale for $10. You’ll notice there isn’t a binding on the quilt. I sewed it right sides together with the backing then turned it thru the opening I left. I like the finish but I’m sure there must be an easier way to accomplish this same look. 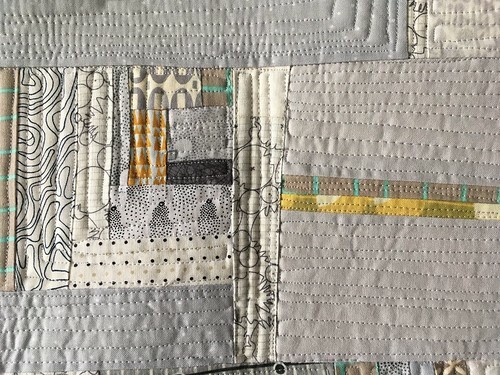 This entry was posted in Sewing and tagged BIMQG, Kona Cotton, Log cabin, mini quilt challenge, modern quilt guild, Robert Kaufman by Diana. Bookmark the permalink.